We love a good, competitive game of Ping Pong, but usually the look and feel of a traditional table doesn't work well outside of your basement or a rec center. 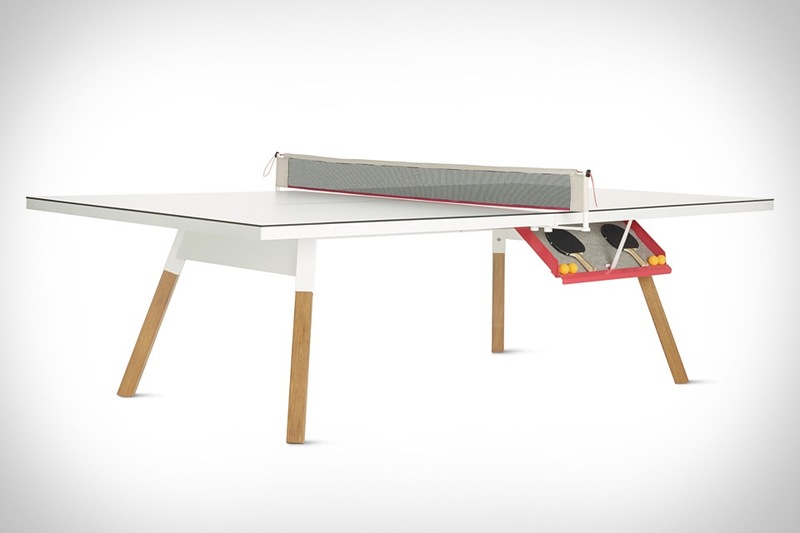 The You & Me Ping Pong Table ($TBA) has other plans, as the Swiss Army knife of tables that also happens to have a pretty sharp looking design. It features a high density HPL surface supported by Iroko wood legs and steel supports treated with cataphoresis coating and powder polyester paint. It's available later this month, looks nice in game mode, but also easily converts into a dining table, desk, or conference table just in case you actually have meetings in the office as well. You're already pretty well-prepared for the inevitability of the dead one day walking the earth — you've stocked up on canned foods, you've hoarded all the ammunition you could ever need, you've even made steps to fortify your home — but if you don't have physical strength, there's no way you'll ever last. With Onnit Zombie Bells (available in weights ranging from 18 to 72 pounds) you can build up the brawn you need to resist the hordes of walkers. Each one features a distinct zombie facade, and is made from perfectly-balanced, chip-resistant iron with enlarged handles giving you improved grip strength. Just remember when the time comes to remove the head or destroy the brain. And if that fails, you can always pull their heads off with your new-found muscles. Sponsored by our friends at Onnit. If you aren't a surfing purist but always dreamed of riding a board across the water, a Jetsurf Motorized Surfboard ($13,500+) might be just the thing you're looking for. 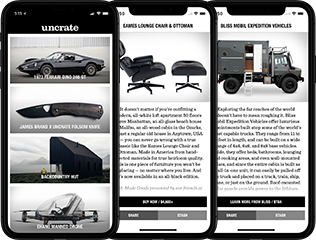 It boasts a powerful engine, is handcrafted with ultra-light carbon and Kevlar, and is designed precisely to fit with your luggage. The board will get you up to 35mph without a wave in sight, which means surfing is not only no longer limited to the purists, but also is no longer limited to the coasts. Going to the gym these days can be a real mess. Dodging muscle bound bros, sweaty dudes that scream while they workout, and dealing with unreliable equipment makes even showing up a difficult decision. The Peloton Cycle makes those issues a thing of the past, and could keep you out of the gym permanently. The bike features a near-silent belt drive system, a magnetic resistance flywheel, and a sweat resistant 21.5" Full HD, multitouch console that connects to your home wi-fi. Watch an instructional cycling video, or something that has nothing to do with your ride at all and feel the calories, and those gym membership fees, melt away. You can already pick up a pair of sneakers to help you monitor your performance on the court, but if you want a full picture of your game, you need feedback from your ball, as well. The 94Fifty Bluetooth Basketball is designed to fill that void, giving you instant feedback on every dribble and shot while keeping its size, weight, and spin within regulations. An internal battery offers up to 8 hours of connectivity, and recharges wirelessly via Qi technology, while a dedicated app keeps track of workout and competition history for up to 4 players, and also offers built-in workouts, QuickTrain shot and ball-handling analyzers, and 50 different competition modes. You don't have to mow down your cornfields to get a little bit closer to a baseball legend, you just need one of these Shoeless Joe Golden Era Baseball Gloves ($140). Even though he was banned from the game for his questionable involvement in the Black Sox Scandal at the height of his talent in 1920, Joe Jackson still went down in history as one of the greats. These reproduction baseball gloves (hand cut and sewn from original patterns and components) let you feel what it was like to field a pop fly in the early days of the game — best yet, you can actually play with them.